Sale at Fourward Glass Gallery and Smoke Shop St. Pete! 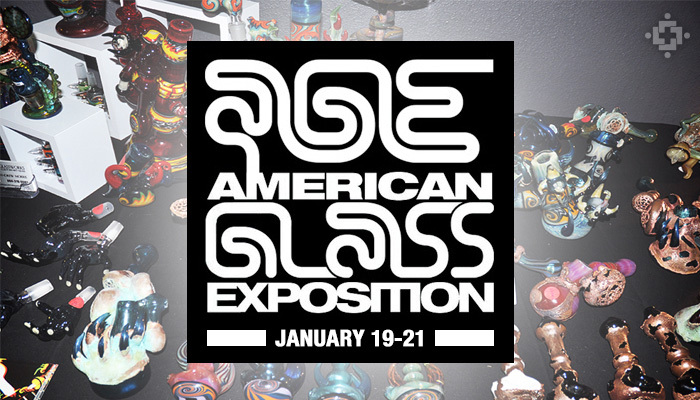 Parker and I have just returned from a whirlwind trip to Las Vegas for the American Glass Exposition also known as A.G.E. For those of you who are new to this, A.G.E. is the premier buying event for smoke shops in the country. It is generally held four times a year, rotating between, Las Vegas, Dallas, Baltimore and Dallas. Fingers crossed Florida gets included in the schedule in the not so distant future. Fourward Glass Gallery and Smoke Shops, representing St. Petersburg, was proud to once again be a sponsor of this event. This allows us to preview the Artists’ work, giving us an early chance to get our hands on the most sought after waterpipes, pendants, recyclers, minitubes and a new line of beautiful production work that we have been dying to get in the smoke shop. The company is called “Seeds of Life” and they are producing some amazing pieces that you all will need to come in and give a try. They are already winning awards for their design. Great group of people to work with and I think you are going to enjoy both the look and the price point of these beautiful Lace Spheres (one of their award winning designs), sidecars, Dub Stacks, Ash Catchers, Hydras, Tetras and on and on. Definitely worth a look and the prices can’t be beat. We also had the privilege of getting our hands on the work of G.P.S. who is producing some of the most coveted pendants and water pipes in the industry. The artist also known as Gregory, is an artist’s artist. His pieces are whimsical, tongue in cheek, stunning and being collected not just by people like you and I, but by Artists who greatly respect his genius work. We are so fortunate to have a great relationship with Greg and his Manager, Big C and appreciate the effort and care that it takes to bring such amazing work all the way from Oregon. The selection is beautiful, collectible and worth a visit to Fourward Glass Gallery smoke shops. We were also able to meet with our old friend, Steve Sizelove who continues to produce some of the most stunningly intricate glass and water pipes around. Be ready for some minitubes and Recyclers that are worth the trip to the shop alone. Steve has been on the torch for over 20 years and it shows in his craftsmanship. I even brought back a beautiful marble Steve produced that I might be convinced to part with. El Hefe who was here with Jd Maplesden and Raman in June for a Fume class co-hosted by Zen Glass. He is a master of producing fume work which makes every water pipe, cube, pendant, you name it, that much more special. Love to get him back down here so that more of you will have a chance to meet and talk with this talented, incredibly smart, artist who currently resides in Raleigh, North Carolina. Be on the lookout for a new artist, Hollanger who is producing color work that is crazy good. Known as a protégé, now is the time to get your hands on his work. Sky’s the limit for this talented young artist. We also picked up a nice selection of pendants at a great price point and while we were away, got in our new collection of Subtl pendants, a big hit with our customers. There are new Dabbers, the beautiful colorstacking work of Amani Summerday and many new water pipes, spoons, dabbers, rigs, recyclers, minitubes, anything and everything you could ever want. If you don’t see it in our smoke shops, we’ll do our best to find it for you! Holiday Sale is ending soon but “Layaway for Locals’ continues and has been a very popular program and a way for our customers to get that coveted glass piece they want in a time frame that is comfortable for them. As always, we strive to provide excellent customer care. We appreciate our followers and well-wishers and those of you who are willing to put your good experience at fourward glass smoke shops into a google review. Your loyalty has helped us spread the word to our community and we appreciate everything you do for us. Your google reviews help other collectors find their way to Fourward Glass Gallery smoke shops which just gives us the opportunity to continually bring in new merchandise. So come in and see the new merchandise, flown all the way from cold and rainy Las Vegas, just for you.